Mobile homes, also known as manufactued homes, represent more than one out of ten new homes built and provide an affordable alternative for home ownership. Less expensive than both new and existing single family homes, manufactured housing has been an alternative to more expensive “stick-built” housing for decades. 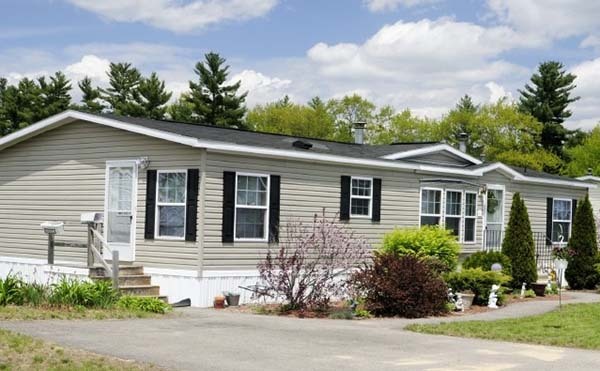 Perhaps the most widely-available form of financing for mobile homes is offered through the Federal Housing Administration, or FHA. Qualify for a mobile home loan here. FHA loans for mobile homes offer the same benefits as for existing homes or newly constructed ones. That means a down payment as low as 3.5 percent of the sales price along with competitive interest rates. FHA loan approval guidelines for manufactured housing usually require a minimum credit score of 640 in most cases, acceptable debt-to-income ratios and other typical FHA requirements. As with any loan program, certain lenders may have more rigid requirements, especially when it comes to manufactured home financing. The first thing about the manufactured home you should check before making an offer is whether it was built on or after June 15, 1976. This is an absolute hard-and-fast date with no exceptions if you need FHA financing. This is because homes built on or before June 14, 1976 may not conform to the Manufactured Home Construction and Safety Standards, a set of standards that HUD requires. Check mobile home loan rates here. Most manufactured homes will require a foundation inspection by a certified engineer before they are eligible for FHA financing. The lender will usually find a qualified engineer. Keep in mind that these inspections can run upwards of $650, so be prepared for that extra cost if looking to finance a manufactured home with an FHA loan. The HUD tag, also known as a Certification Label or HUD label, looks like a small license plate and is located on the outside of the manufactured home. There may be multiple HUD tags – one for each unit of the home. For instance, a double-wide will have two HUD tags. It’s important that these tags are on the home and still visible, even if painted over. They can be hard to find on older manufactured homes, but are essential for FHA financing. Also make sure the Data Plate is in the home prior to making an offer to buy. This is actually not a plate but a piece of paper that is located in the kitchen cabinet, electrical panel, or bedroom closet. 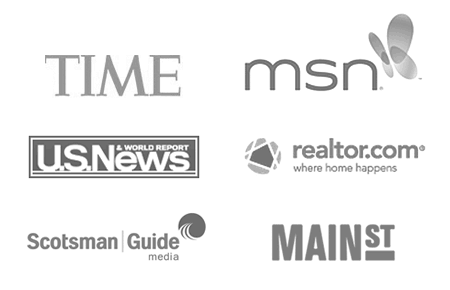 This paper gives information regarding the geographic location in the United States for which the home was designed. For instance, a home designed for Phoenix, Arizona will be built to withstand heat, but not to handle heavy snow loads. The Data Plate ensures the home is in the right geographic location. If there is no Data Plate or HUD tags on the home, the current owner will have to research the history of the home and provide the serial number or numbers from the HUD tags. HUD has contracted with IBTS which can research and certify HUD labels. An IBTS certification may also be required if the FHA underwriter can’t adequately see the HUD label in the appraisal photographs due to paint or other obstructions. Affordability. The primary advantage for manufactured housing is its price. Today, construction costs are up to 20 percent less to complete compared to a site-built home. Predictability. Manufactured homes are built brand new with the cost to the consumer established prior to the home being built. Cost overruns and “change orders” common with newly constructed site-built properties are avoided. Environmentally Friendly. New manufactured homes are built using today’s latest environmentally friendly technologies and materials to lower the impact on the environment as well as energy-efficient savings. See if you qualify to buy a manufactured home by speaking to a mortgage expert here. Depreciation. The biggest drawback to manufactured housing is that the structure depreciates, instead of appreciating like a stick-built home does. Often, the land value will increase, making the overall value stay the same or even increase somewhat. But total appreciation will not be as dramatic as it would be with a stick-built home, since the depreciating structure drags down the value. Design. Unlike new construction for site-built homes, manufactured housing is built to predetermined design components. While certain amenities such as flooring or other options can be selected, you’re limited to the floor plans offered by the manufactured housing dealer. Location. If you own your own lot and want to place a manufactured home there, you may be limited by local zoning ordinances prohibiting the placement of manufactured homes. Financing. Financing for manufactured housing can be more difficult to find compared to other loan types and even FHA-approved lenders may choose not to finance manufactured housing, regardless if the home meets FHA manufactured housing standards. Can I buy a home and rent it out? As with other FHA loans, lending guidelines require you to occupy and finance the manufactured home as your primary residence. Can I get a gift to help with my down payment and closing costs? Yes, FHA loans allow gifts from qualified donors such as family members, government agencies and non-profit institutions. What special considerations are there for FHA manufactured housing loans? Other than meeting the maximum loan limits and construction considerations, qualifying for an FHA manufactured housing loan is similar to any other FHA mortgage. You’ll need to have qualifying credit, be able to make the monthly payments and have enough money for a downpayment and closing costs available. My bank said my credit score of 630 was too low, what is the FHA minimum? While the FHA doesn’t establish minimum credit scores, most FHA lenders do set their own. The minimum most lenders require is 640 but a few FHA lenders allow a lower score. Get pre-approved for a mobile home loan here. What is considered a Mobile Home or Manufactured Home? Is there a difference? Mobile homes and manufactured homes are one in the same. So there’s no difference between FHA mobile home financing and FHA manufactured home financing. A mobile home is built at a manufacturing plant instead of “on site” as other homes are built. That’s why the industry typically refers to them as manufactured homes. Manufactured housing is not to be confused with modular homes. Modular homes are also built at a plant but in different components, or “modules” that are shipped to the construction site where the home is then assembled. Is a Mobile Home Right for You? Only you can decide if the pros outweigh the cons with a mobile home. It could be a great way for many people to break into homeownership at a lower cost. And for those who plan to live in the home for a long time, depreciation may not be that big of a drawback. If you have more questions about manufactured homes or FHA loans, complete our contact form and we’ll be in touch.